In 1892, a variety of Bourbon and spirits merchants owned shops in a two-block stretch of Main Street in downtown Louisville, Kentucky. 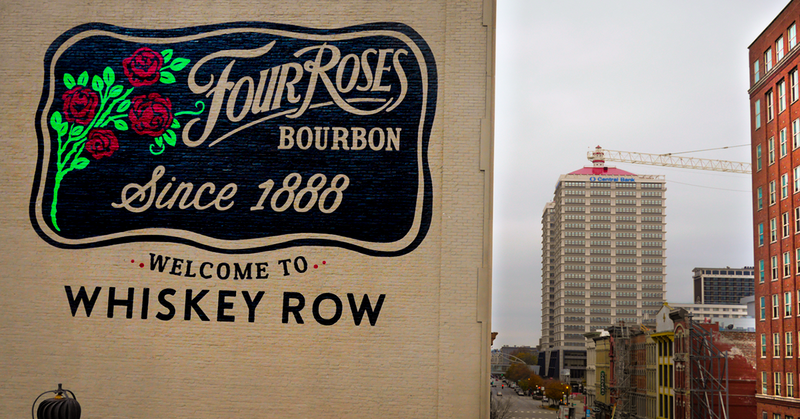 This area that once served as home to more than 20 purveyors of wholesale liquors, including Four Roses Bourbon, makes up historic Whiskey Row. After the death of Paul Jones, the Paul Jones Company continued to operate in this location, directed in part by Paul Jones’ nephew, Saunders Paul Jones. Four Roses Bourbon operated in this location until 1922, when the Paul Jones Company could no longer store Bourbon at East Main Street and was forced to move to the Stitzel Distillery on Story Avenue. This move followed the enactment of Prohibition in 1920. Over time, Whiskey Row and its street numbers have changed and today that same building is located at 118 East Main Street. 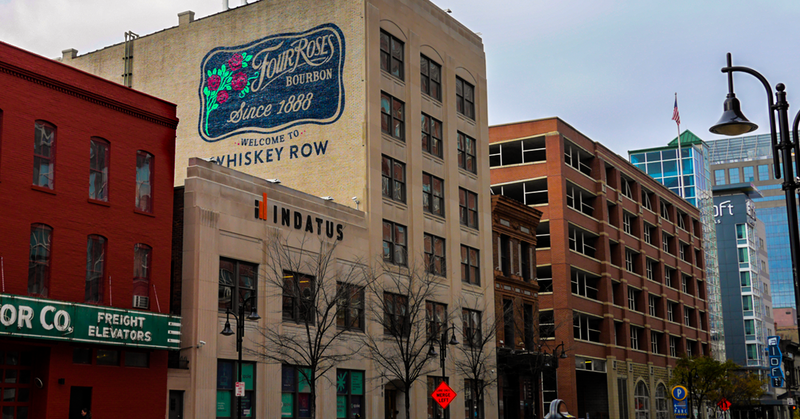 To honor the space that was once home to our founder’s company, The Paul Jones Company, we pay tribute to our history on Main Street with a vintage mural. The design resembles our branding from the early 1900s, modeled after a classic Four Roses bottle adorned with embossed roses and a metal front-plate. If you reside in Louisville or find yourself passing through the area, be sure to make a visit and toast to our Brand’s history. Thank you for keeping our Bourbon heritage alive with every mellow moment.